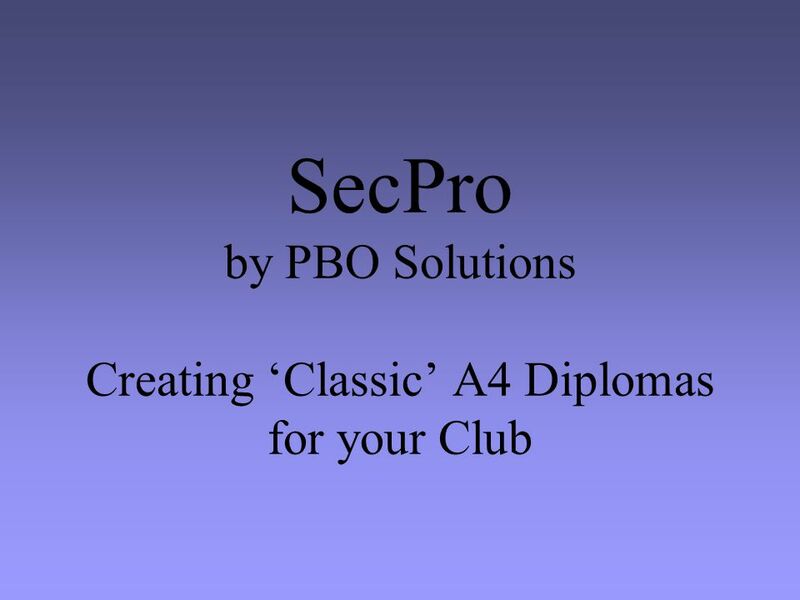 SecPro by PBO Solutions Creating ‘Classic’ A4 Diplomas for your Club. 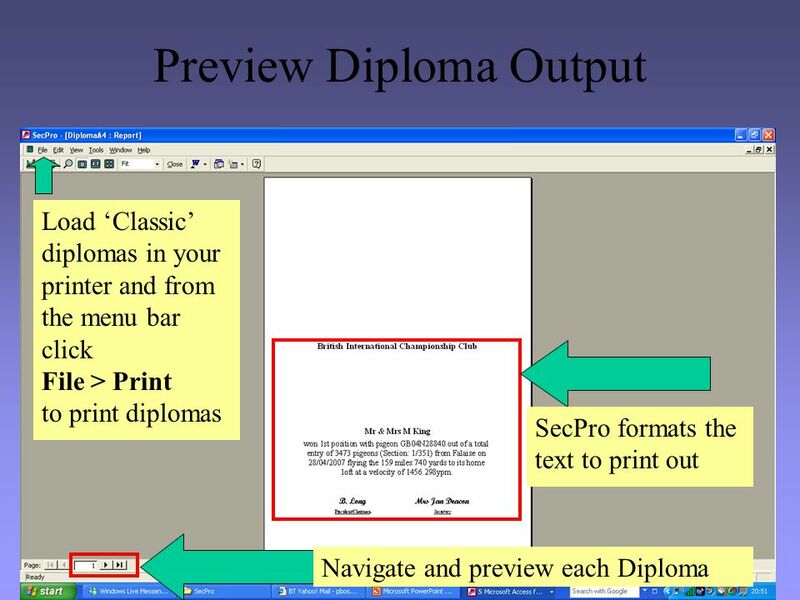 Download ppt "SecPro by PBO Solutions Creating ‘Classic’ A4 Diplomas for your Club." How to Use Topics Topics Navigation. 9/14/2013 How to Use Topics 2 Starter Find the file Menu in the Menu folder, or alternatively the Table of Contents. 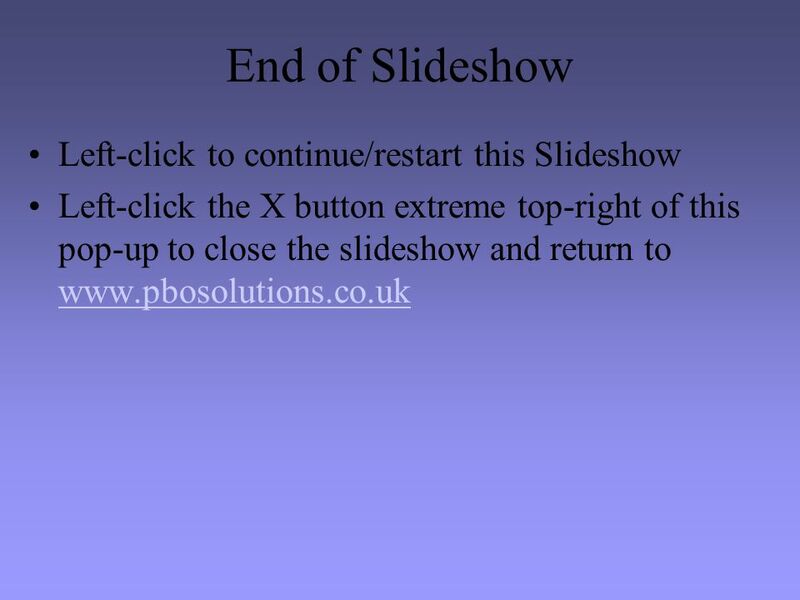 1 After completing this lesson, you will be able to: Use the Formatting toolbar to format text. Apply character effects to text. Align text. Cut and paste. 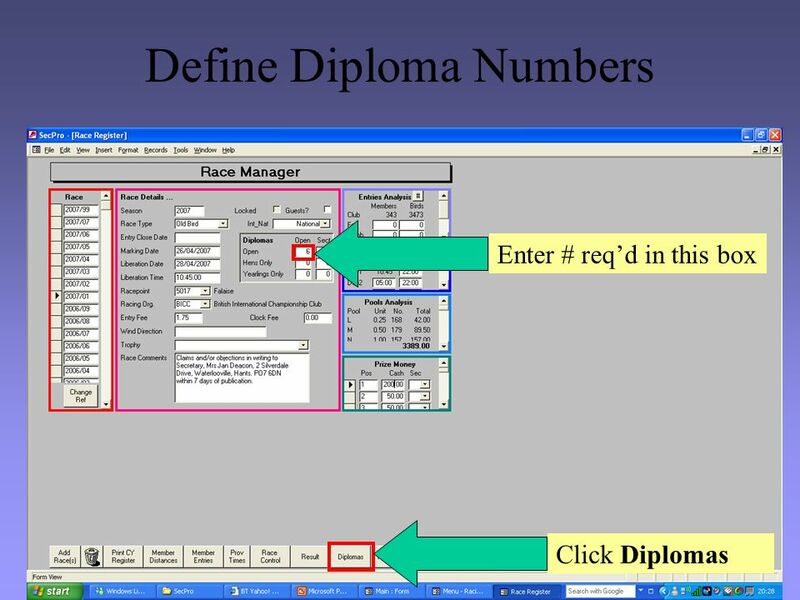 Getting Started Performance Management System Tutorial for Employees Estimated Completion Time: 5 minutes Navigation instructions Begin the tutorial To. Compose Workflow. Home page To compose a workflow navigate to the “Workflow Editor” page. Comic Strips in MS Word Or Powerpoint. Introduction to Microsoft Office Excel Office Button Quick Access Toolbar Ribbon Formula Bar Alphabetical Columns Numbered Rows Worksheet Tabs. 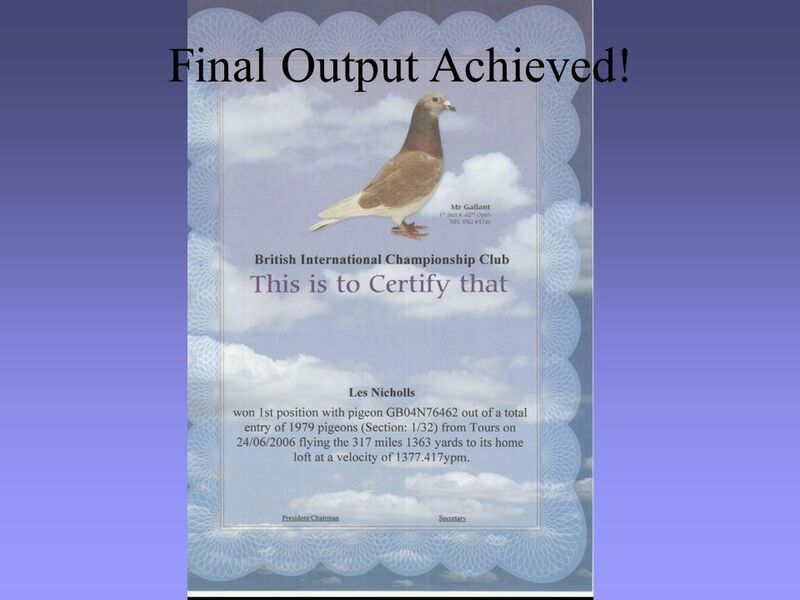 SecPro Member and Race Management Software for Pigeon Club and/or Federation Secretaries Written and Distributed by PBO Solutions. 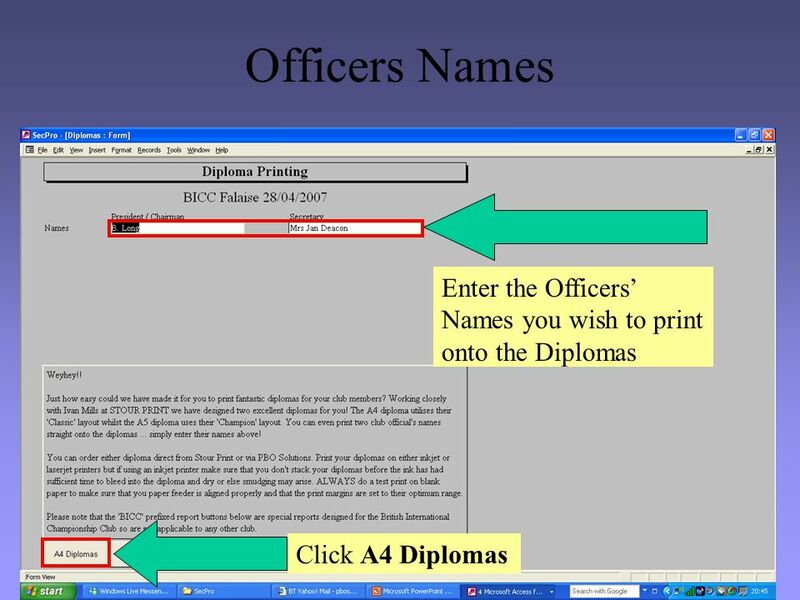 1 After completing this lesson, you will be able to: Add a header and footer to a worksheet. Change margins and center a worksheet. Change the orientation. MODULE 5 B WORD PROCESSING. cont How to Add Colour to Your Microsoft Word Logo To add a coloured background to your shape, do the following: Make sure. Page Tuning. What Is Page Tuning? The page tuning process allows you to examine download times of each element on a page at a timing resolution of milliseconds.